If you’ve been attending group fitness classes for years, you’ve likely found that there are things you like and things you don’t. Most people enjoy working out in a group because of the high energy atmosphere and the motivation provided by the group setting. But you’ve probably noticed that instructors can be hit or miss. In fact, you might find yourself thinking that you could do a much better job. Perhaps it’s time to put your money where your mouth is and become a certified group fitness instructor. Here are just a few benefits you’ll gain when you take on this professional pursuit. Stay in shape. One of the best reasons to become a professional group fitness instructor is to stay healthy and fit yourself. Some of us simply aren’t meant to follow, so if you find that the classes you take are boring or they’re not a challenge, consider that you might get more out of it if you were the one planning the routines. Of course, you could simply go it alone. But the energy of a group class is both fun and motivational. And as the instructor, you have the opportunity to not only push other members, but to keep yourself healthy and fit and have some fun along the way. Keep your day job. If you’re enthusiastic about exercise and you like leading a group, it’s actually not that hard to become certified as a group instructor. But if you’re not sure you can make a living at it, you can definitely do it on the side. In fact, many group fitness instructors work at other jobs and teach classes as a hobby or a fun way to earn a little extra cash. If you religiously attend classes anyway, and you think you could do a better job than the person leading the group, why not pursue your passion? You don’t necessarily have to give up your day job in the process. Job opportunities. 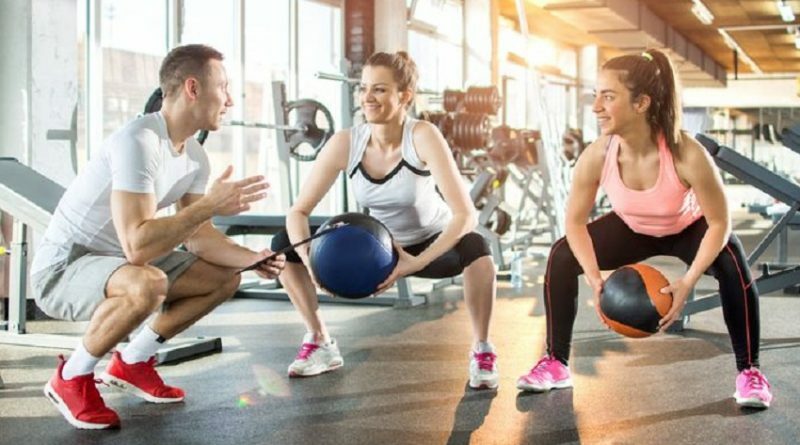 With no shortage of news coverage concerning the obesity epidemic and sundry health problems amongst adults, there are plenty of people looking for ways to get fit, and a good instructor can bring a lot of business to a gym. If you build relationships and develop a following, you’ll have no trouble finding placement at health clubs and other established fitness facilities. Heck, you could even strike out on your own by branding yourself and starting your own gym. The more popular you become, the more opportunities you’ll have to advance your career. You might start out by selecting some regulars from your classes to join you in creating a series of workout videos, for example. And from there you could brand your own line of workout clothing or equipment. If you truly want to make a career out of being a professional group fitness instructor, you’ve got to think big. Enjoy a fulfilling career. Nobody signs up for a gym membership thinking that they’re going to drop out after just a few weeks or months. But that’s what ends up happening most of the time. As a group fitness instructor, you have the opportunity to motivate others who need help reaching their own fitness goals. You have the chance to change lives. And whether you work for an affordable gym or you start a posh and exclusive health club of your own, one of the best reasons to lead group classes is to play a role in helping others to get fit, look and feel better, realize their goals, and generally improve their lives. ← How do direct and same-day couriers differ?